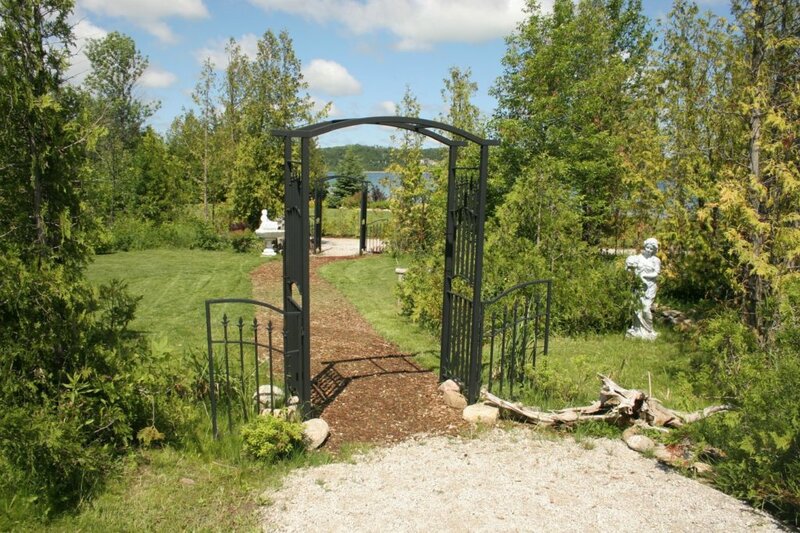 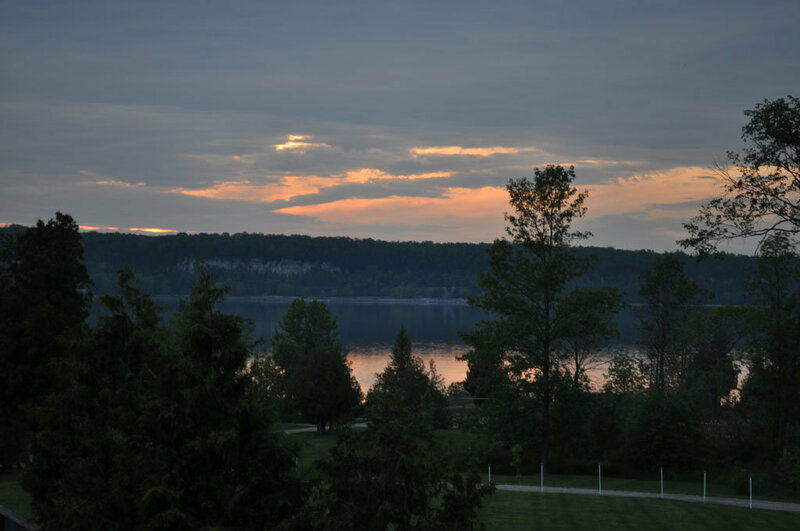 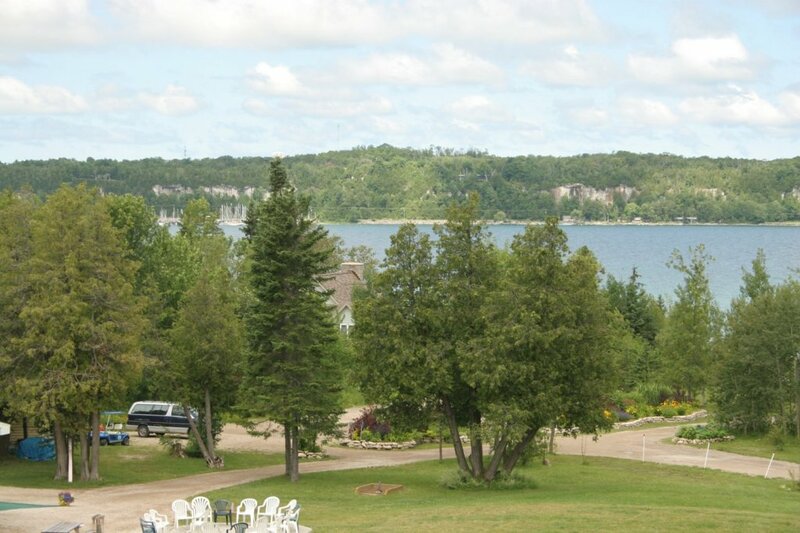 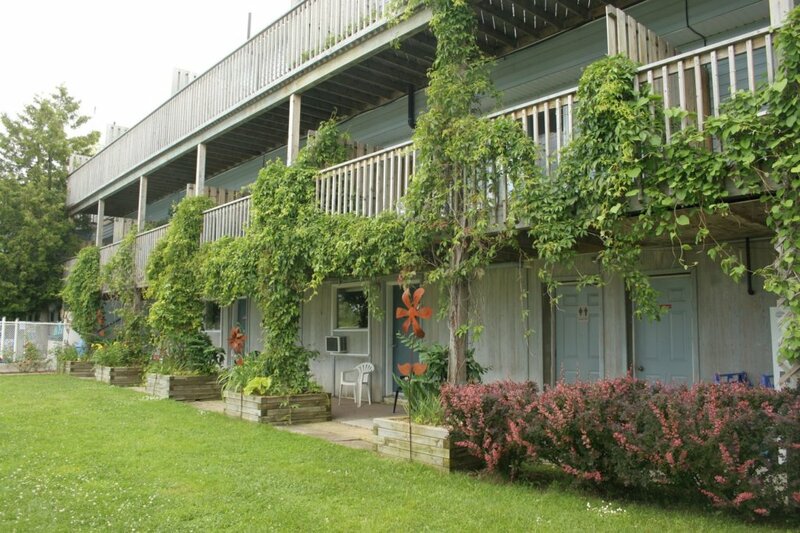 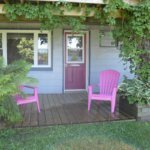 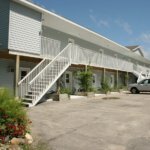 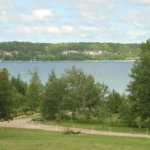 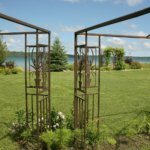 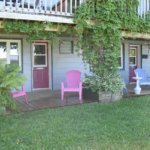 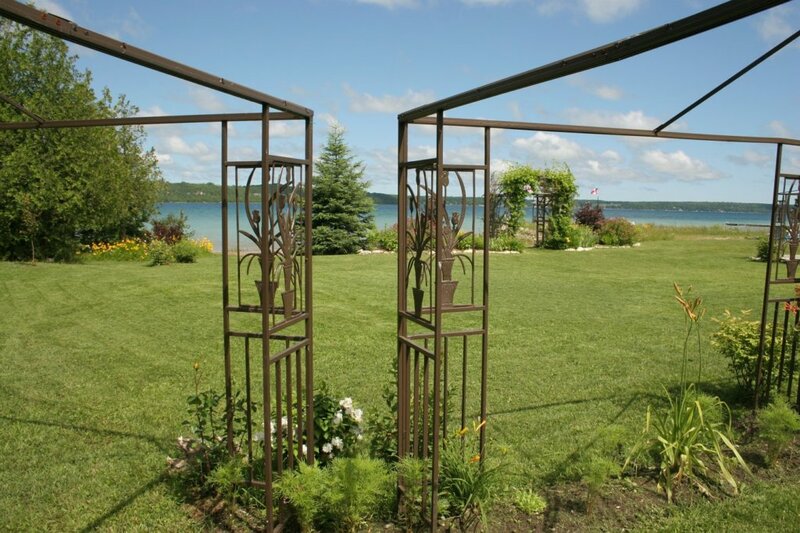 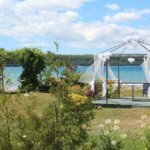 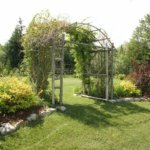 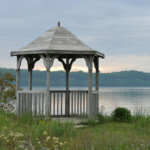 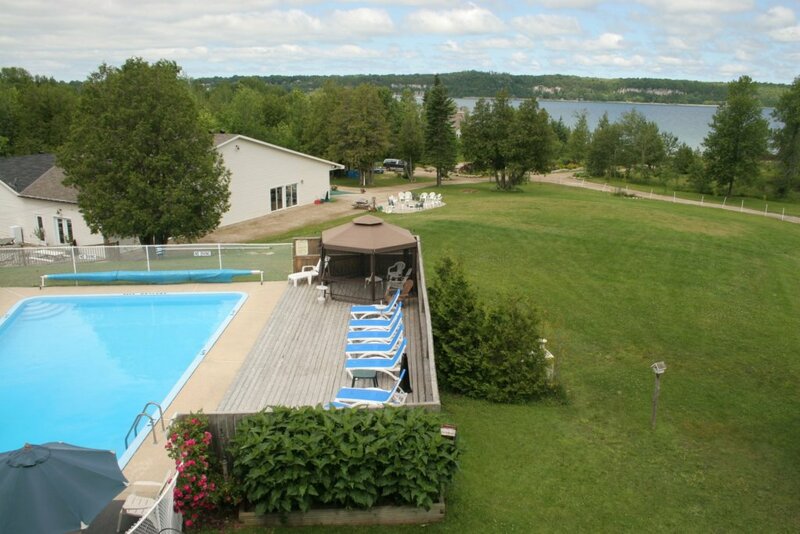 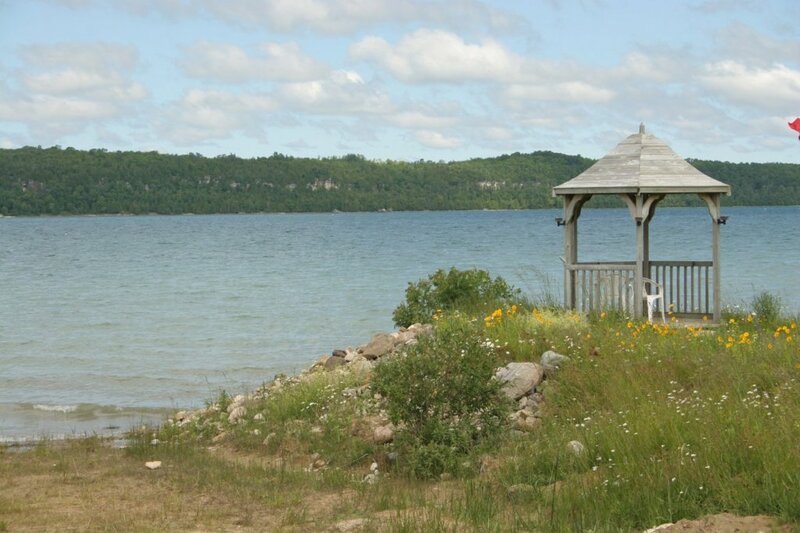 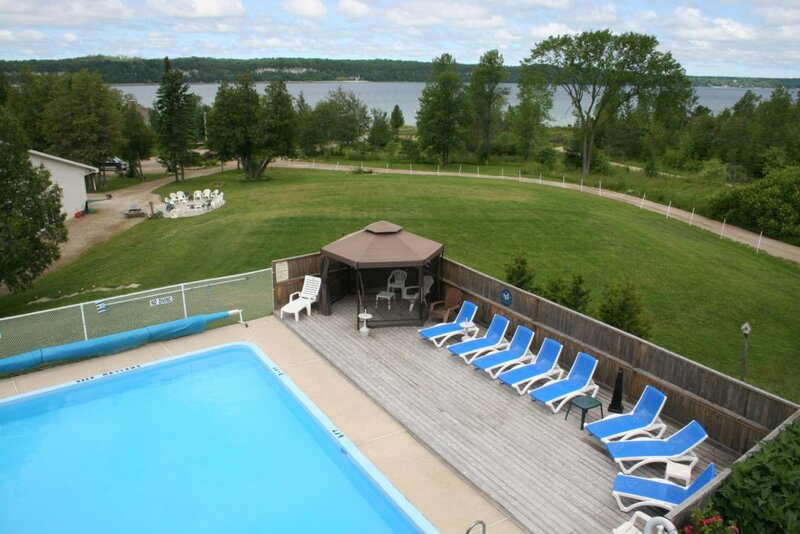 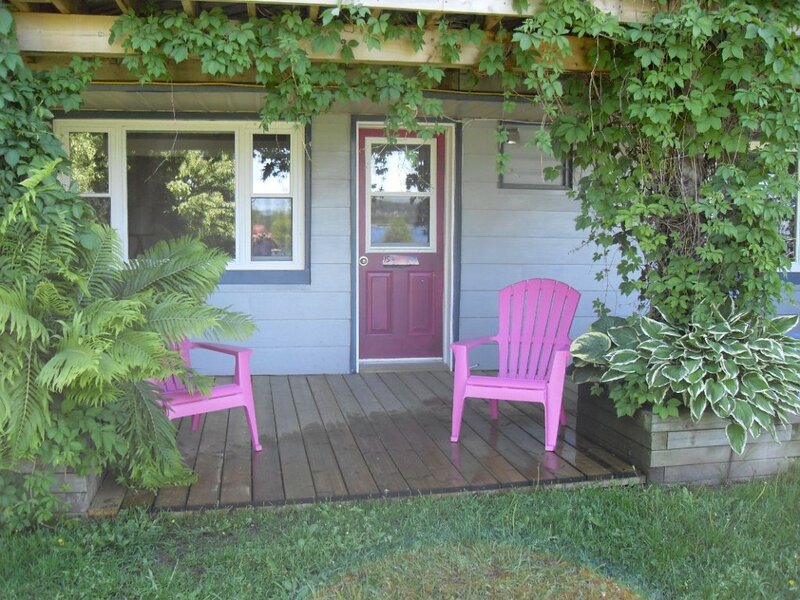 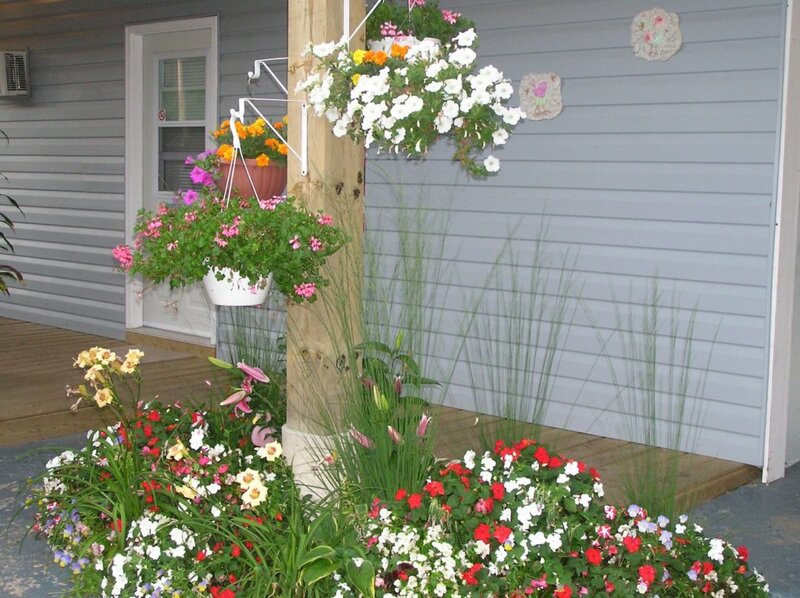 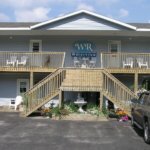 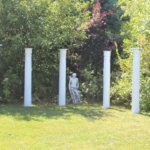 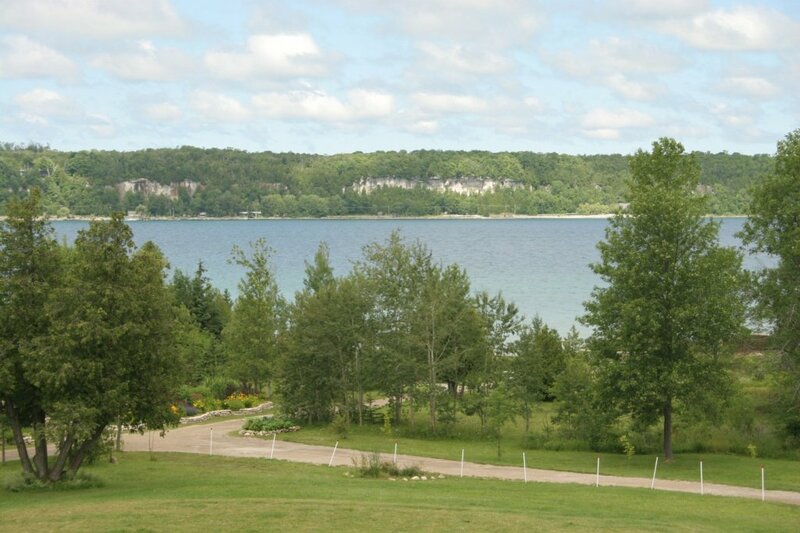 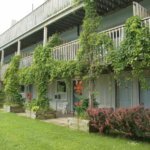 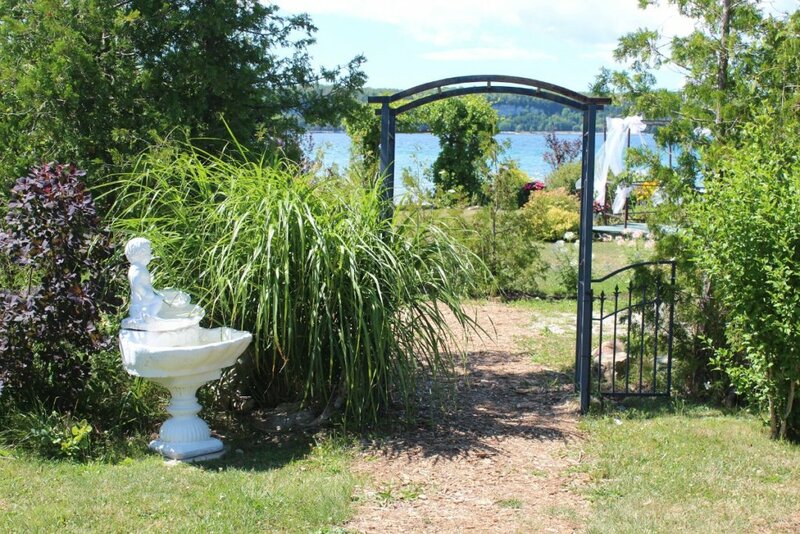 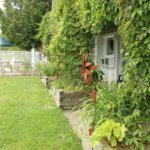 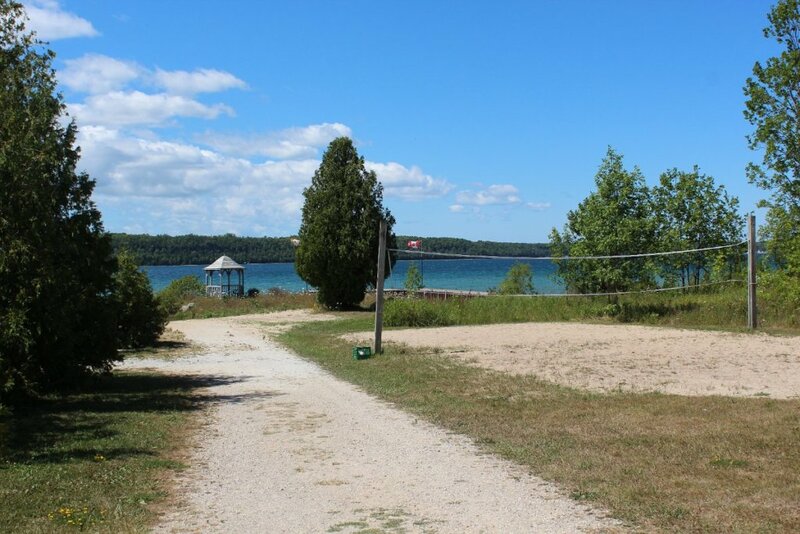 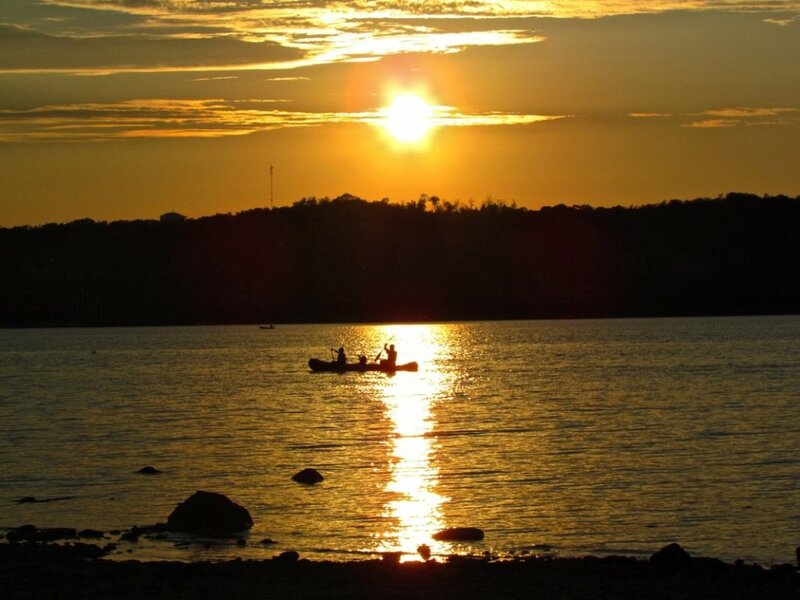 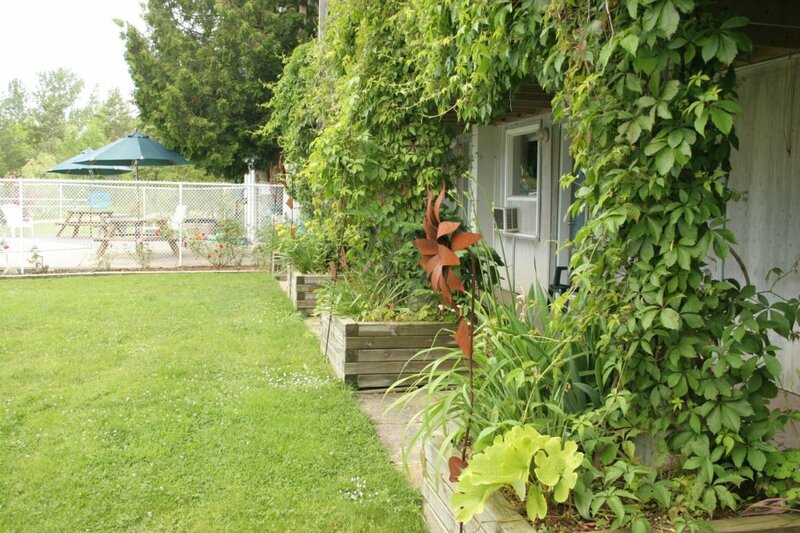 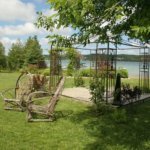 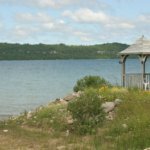 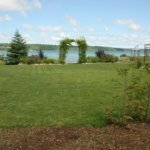 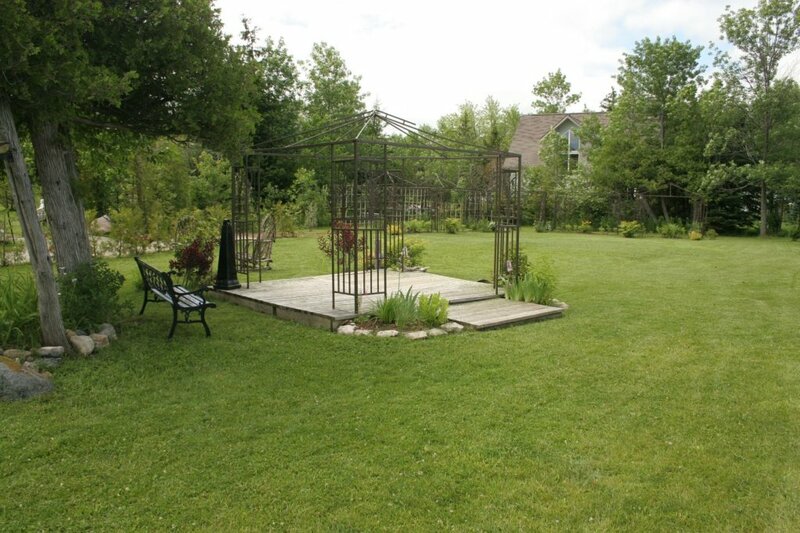 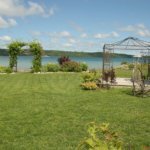 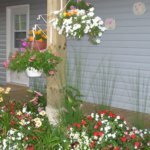 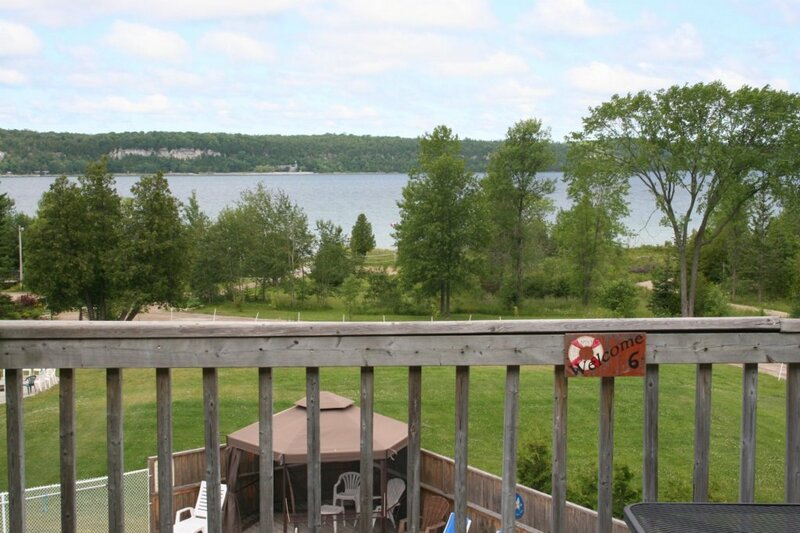 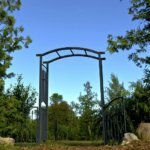 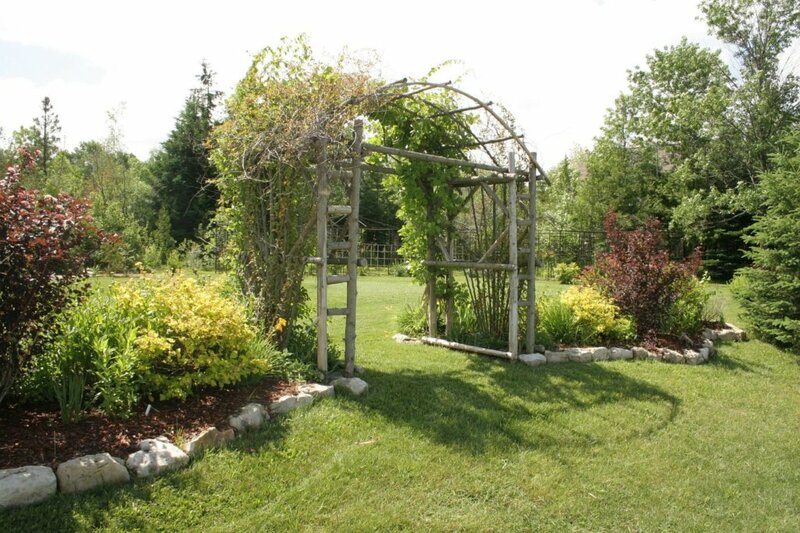 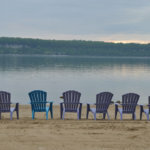 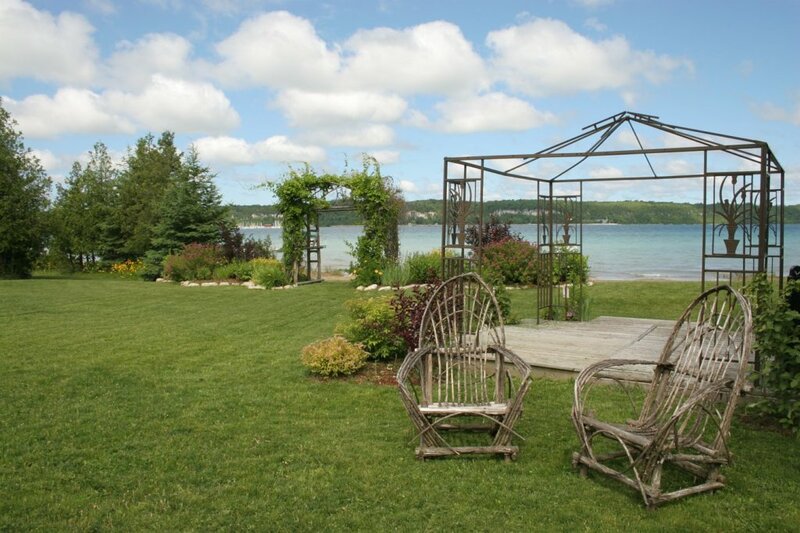 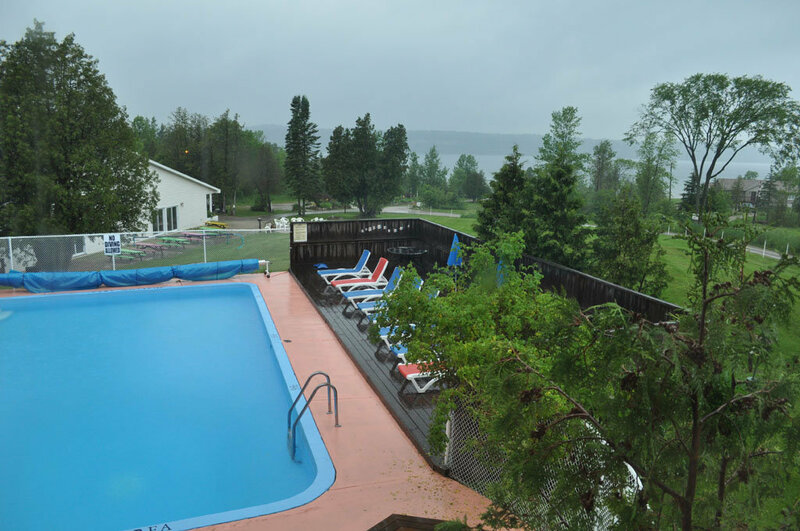 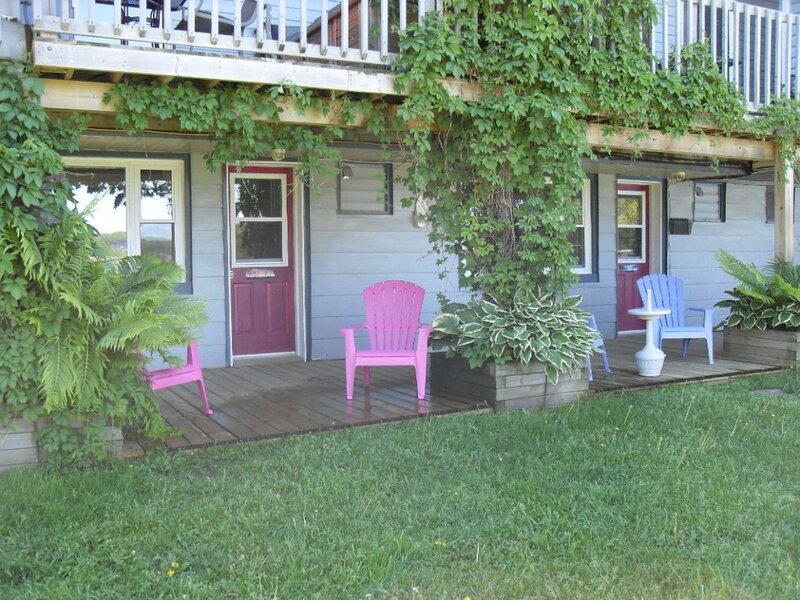 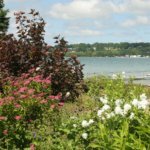 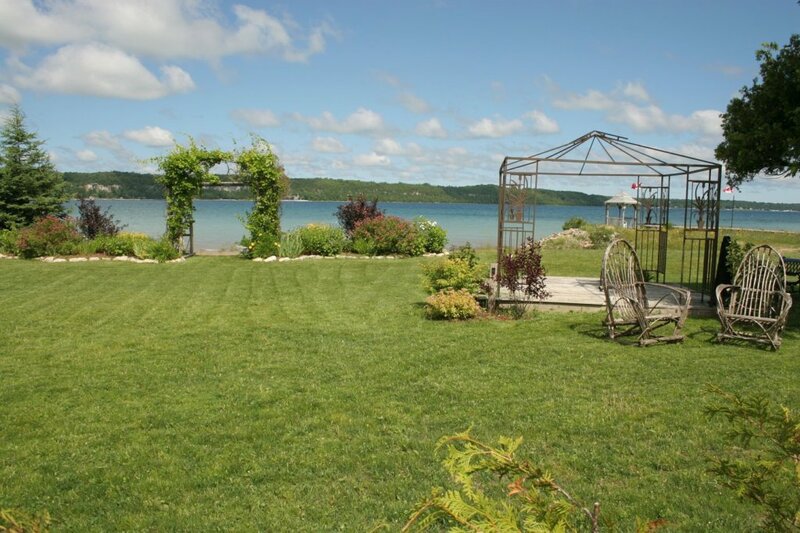 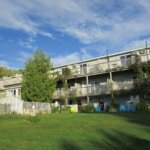 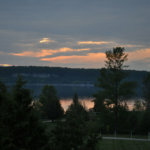 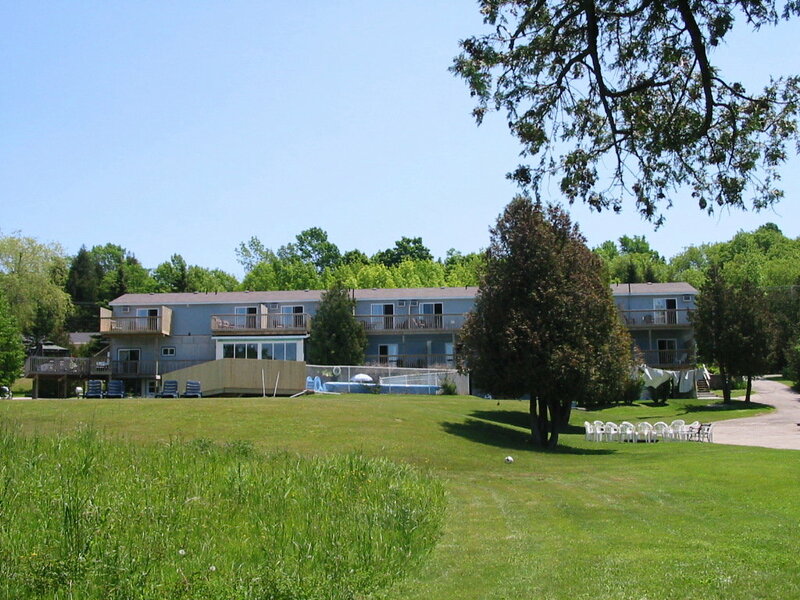 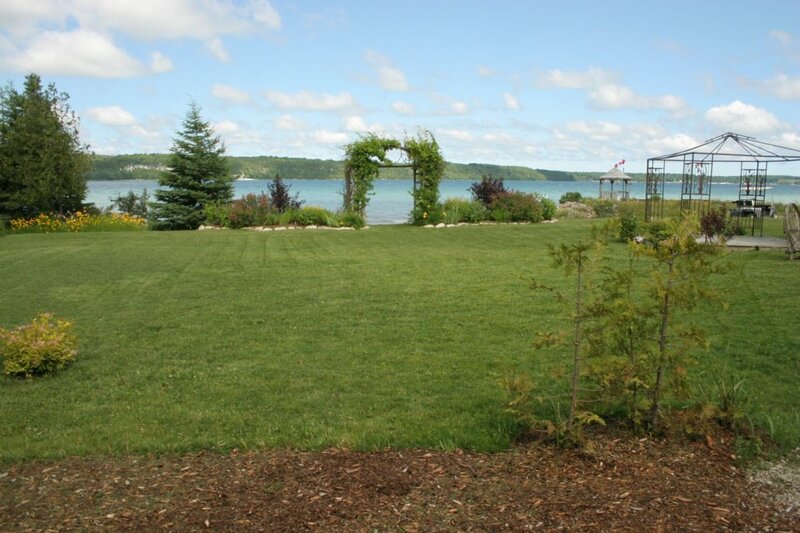 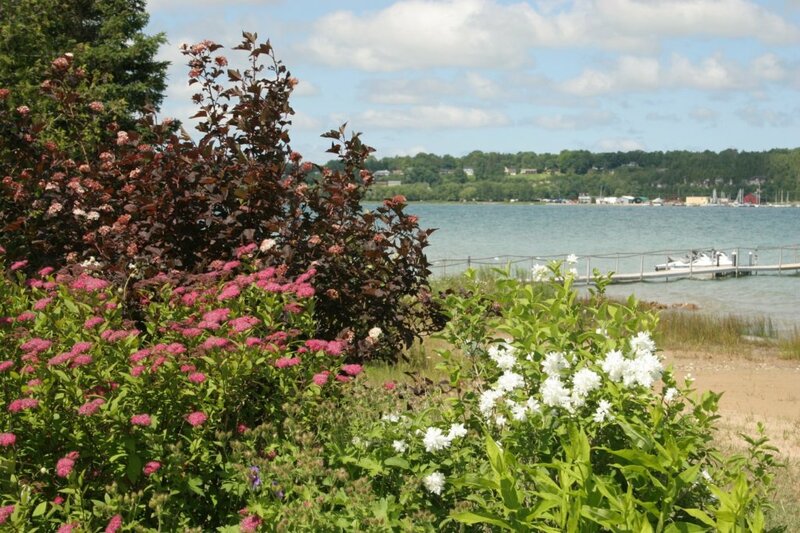 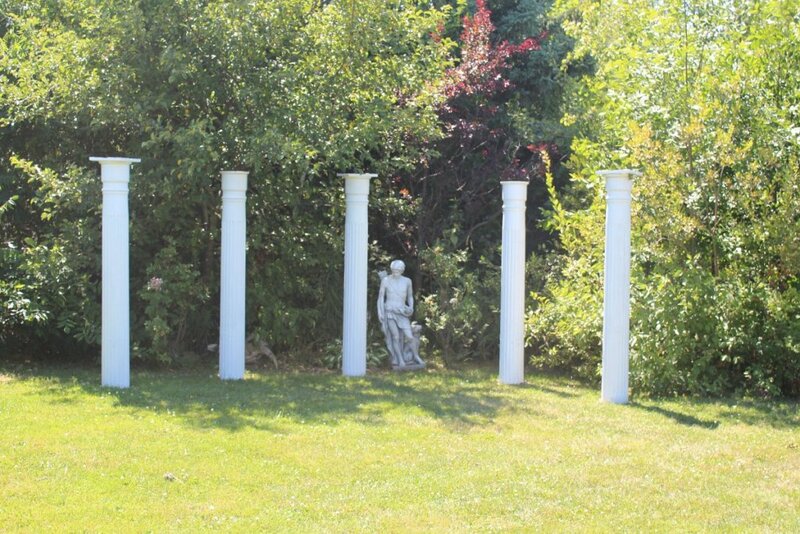 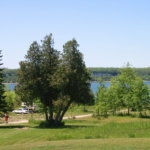 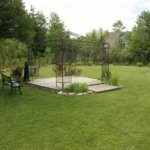 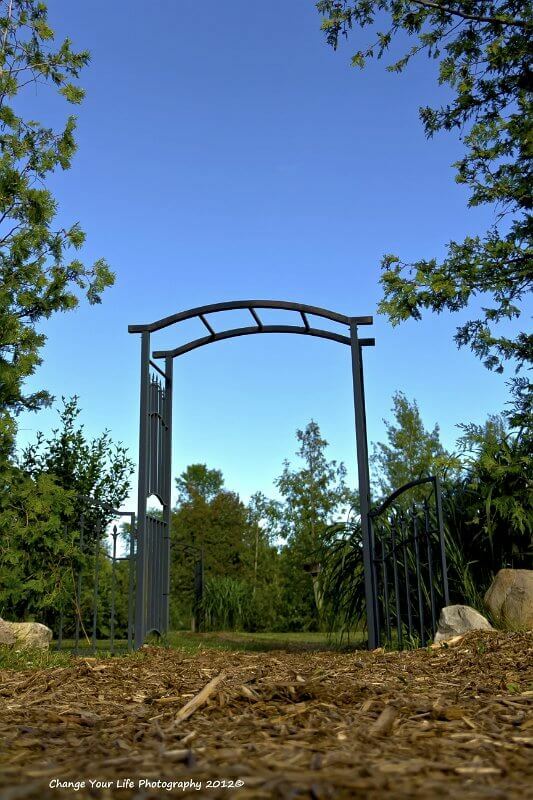 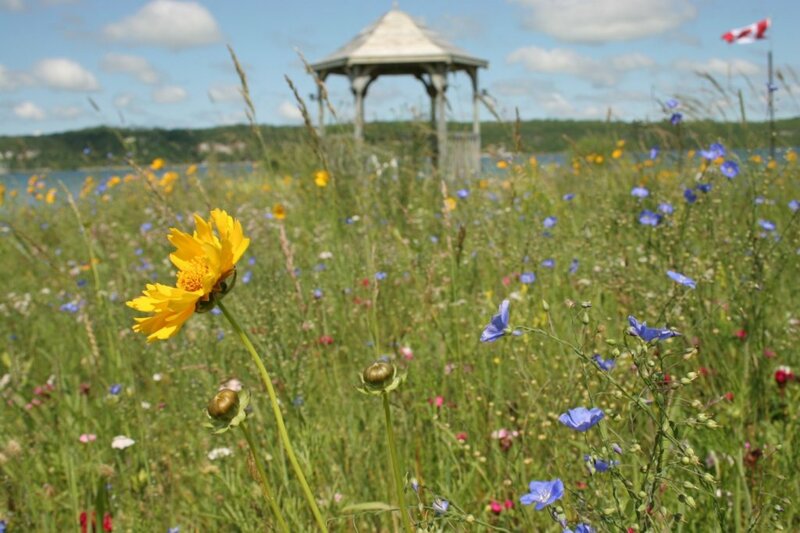 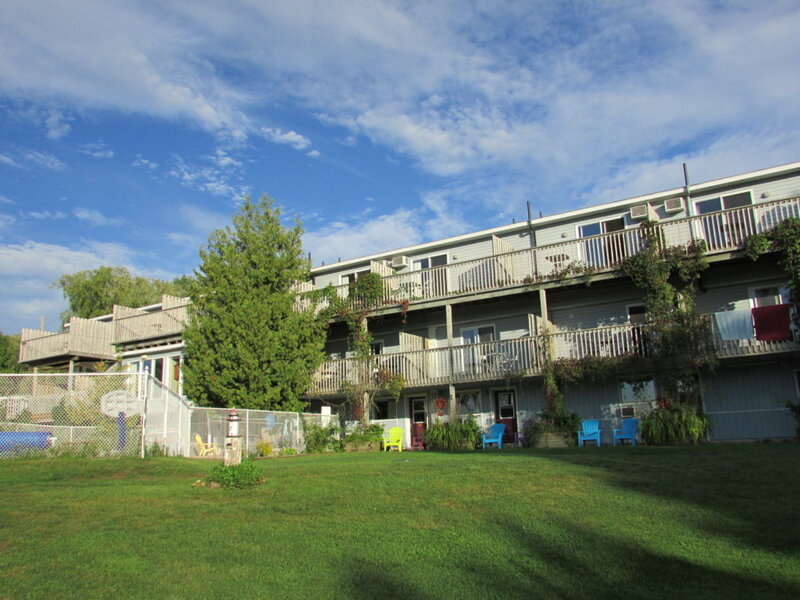 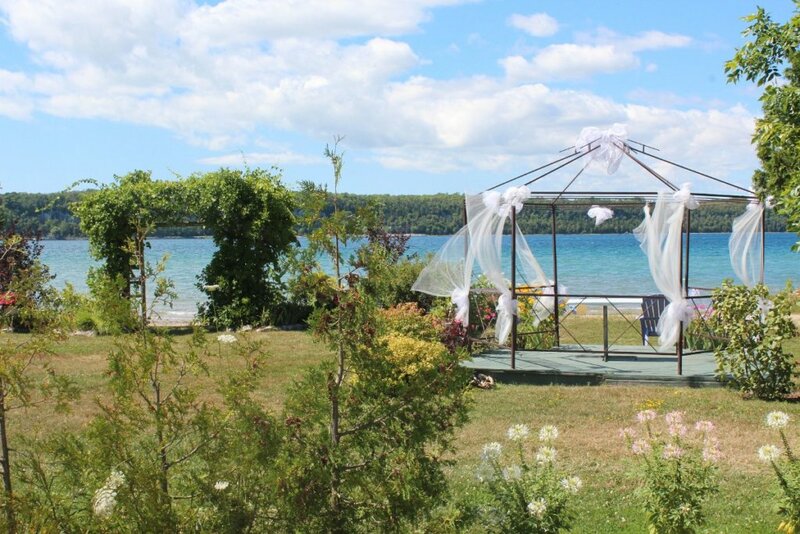 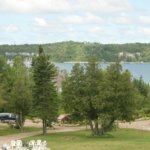 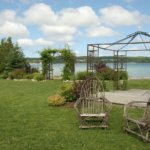 The Waterview on the Bay Resort property and facilities are located on 4 acres of waterfront property, over-looking beautiful Colpoy’s Bay and the majestic cliffs of the Niagara Escarpment. 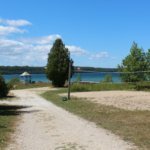 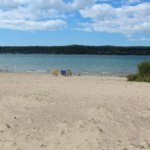 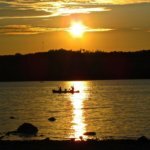 Stroll from your room to our waterfront with 300 feet of private sandy beach, the pier and enjoy the pristine waters of Georgian Bay. 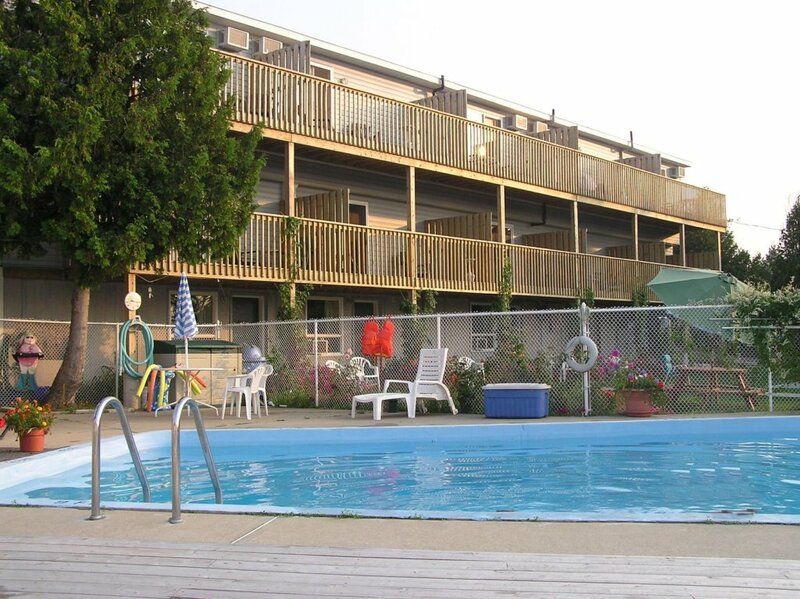 Here at the Waterview you can enjoy the beautiful sunsets or just relax poolside. 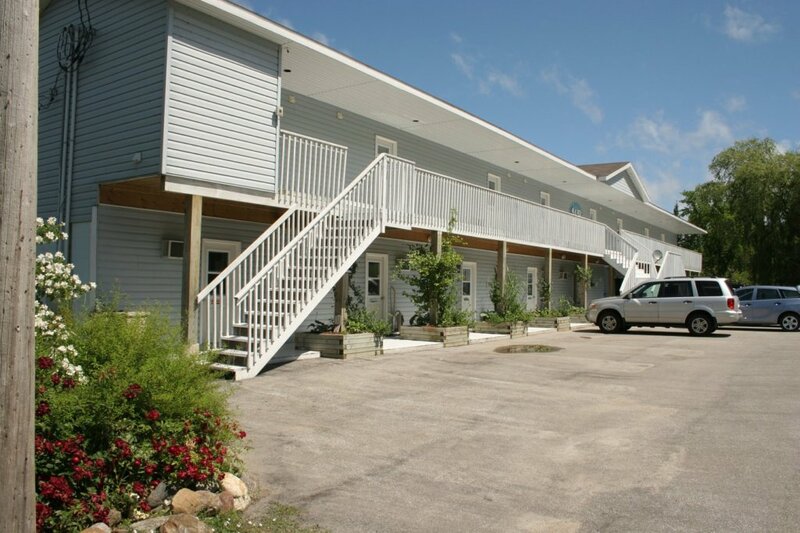 WiFi is available in all areas and cable TV in the rooms. 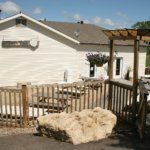 Both are free of charge. 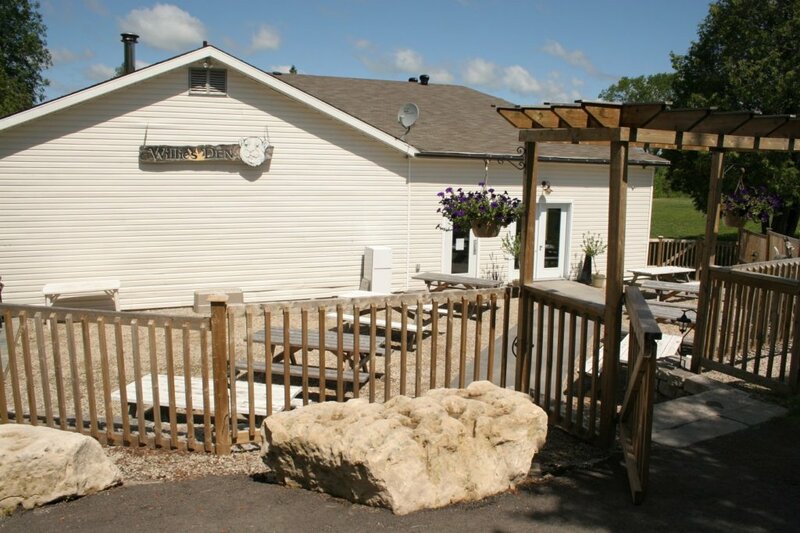 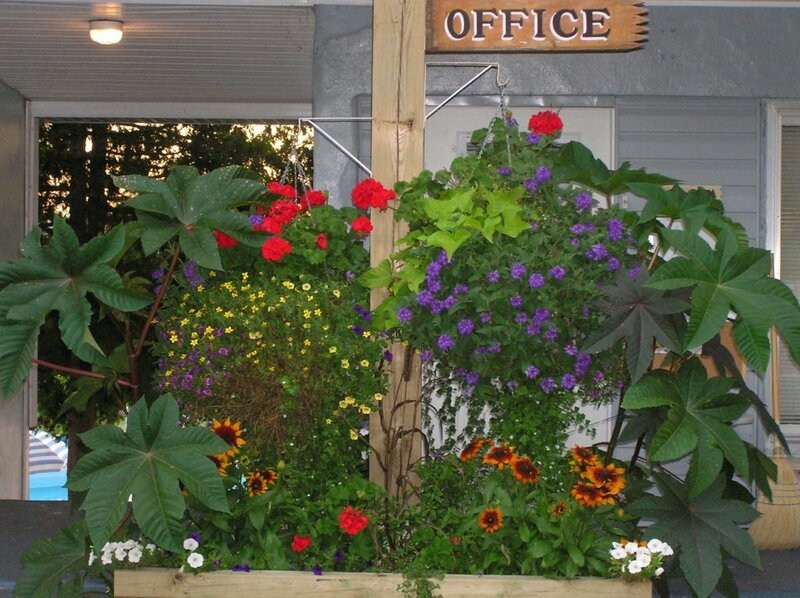 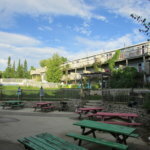 We are a non-smoking facility with designated smoking areas outside. 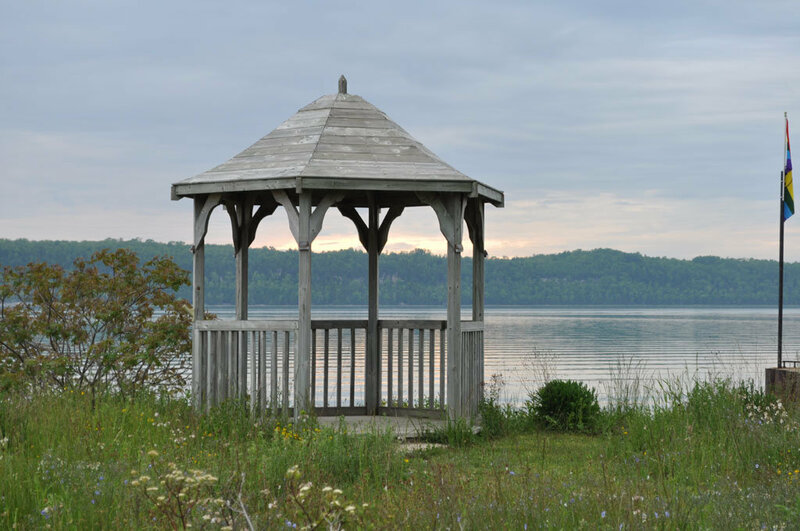 Romantic rooms, air conditioning, dog friendly (please click here for our Dog Policy), rec hall and a limited selection of older DVD & VHS movies are available. 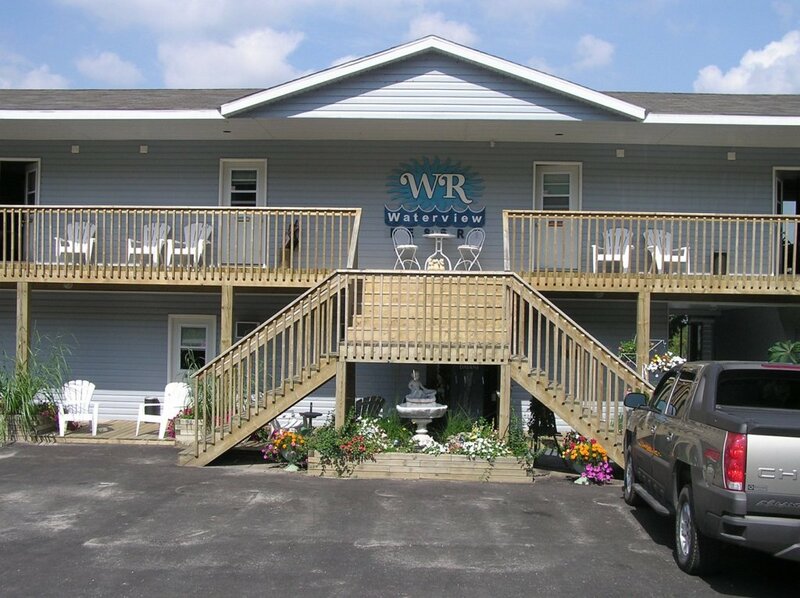 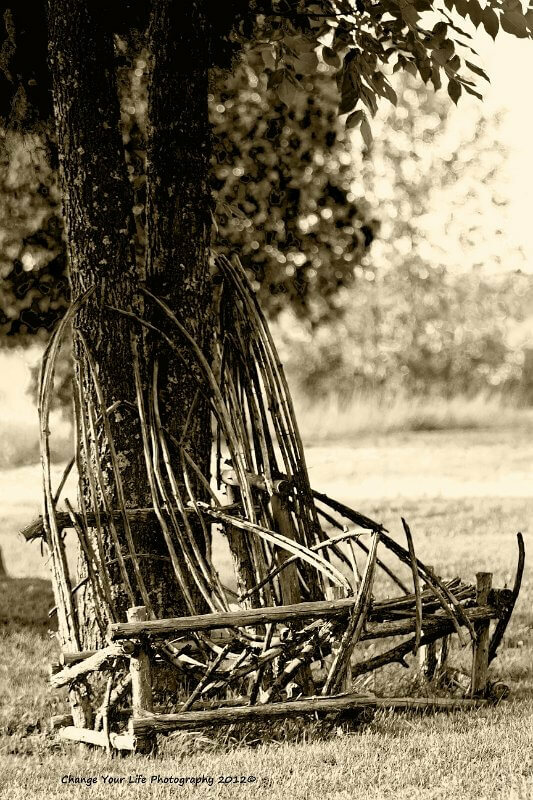 Parking is available for guests only (reservation is not needed). Waterview on the Bay Resort is located on a fantastic property, directly on the shores of Georgian Bay. 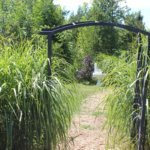 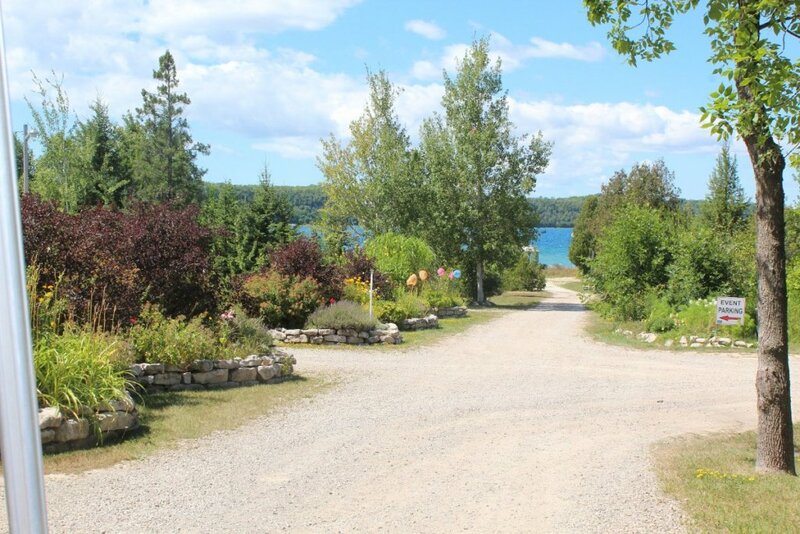 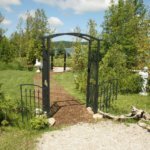 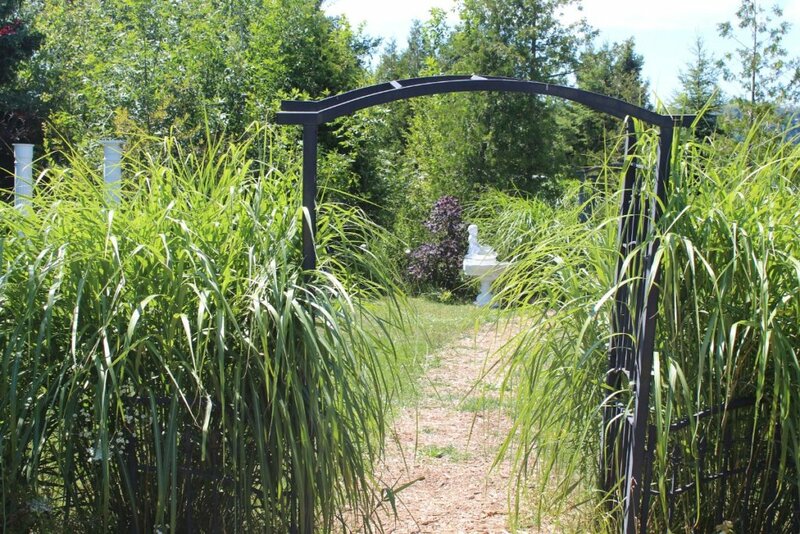 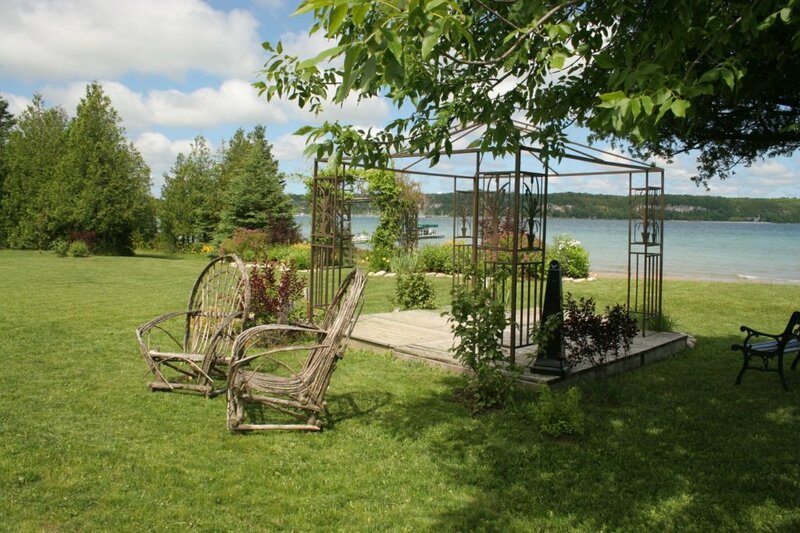 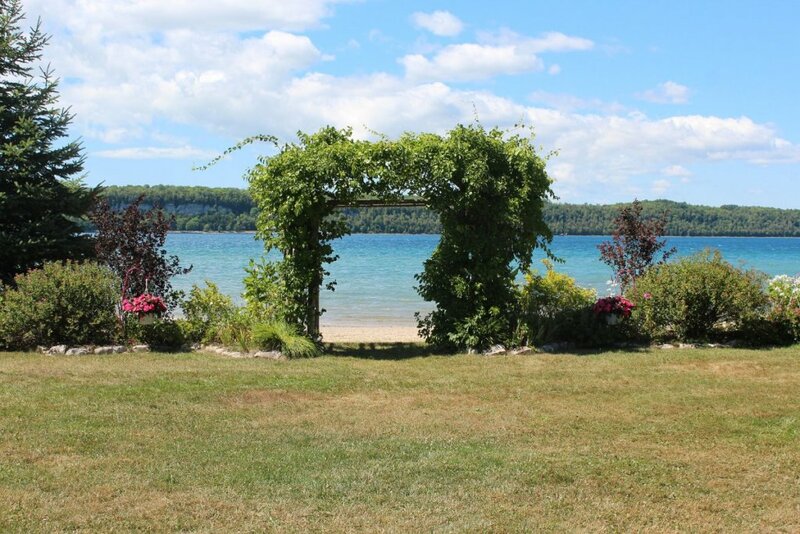 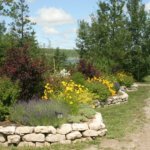 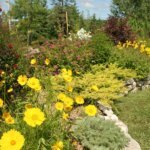 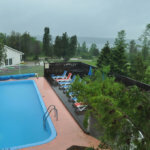 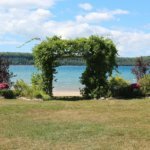 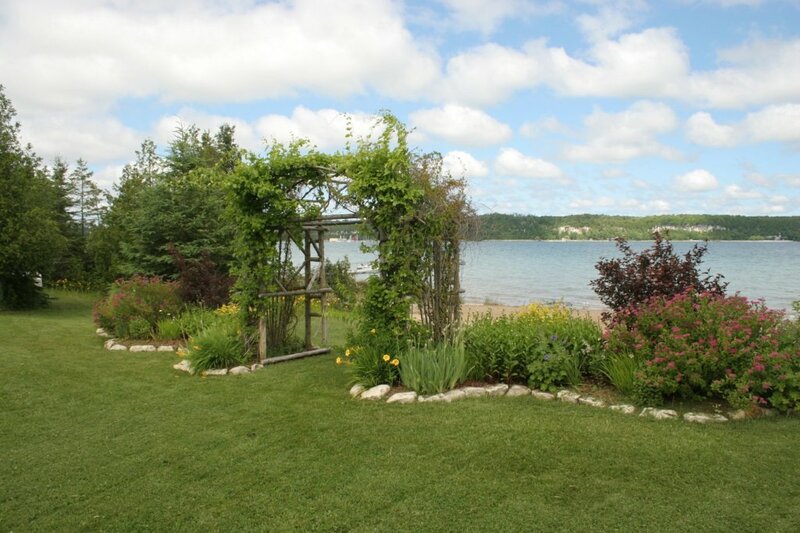 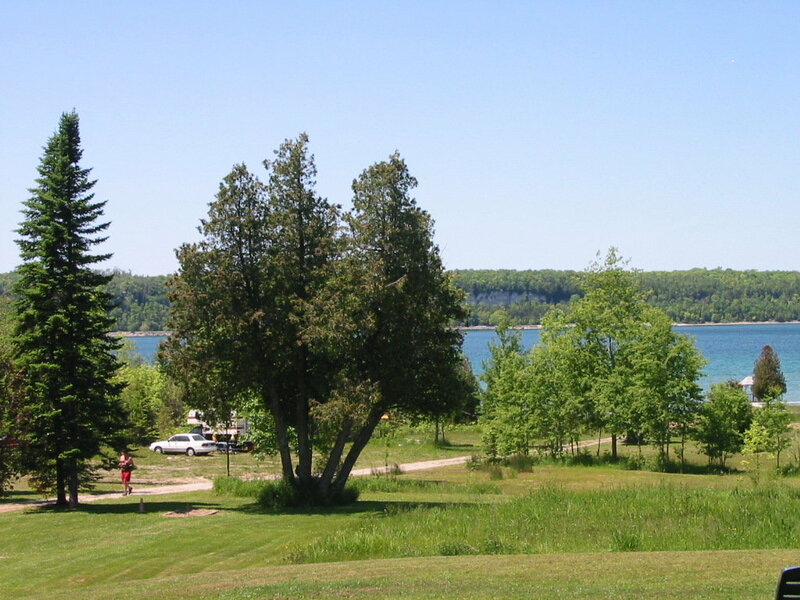 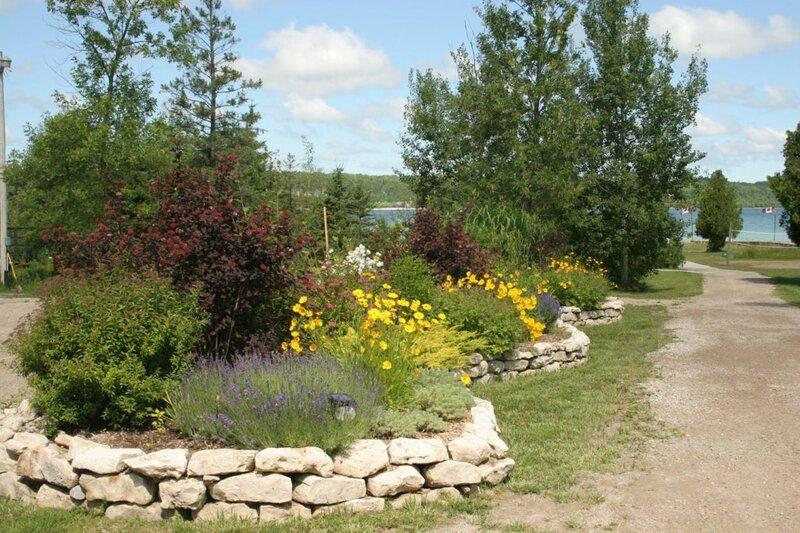 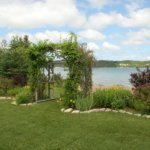 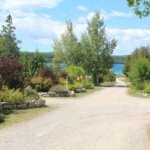 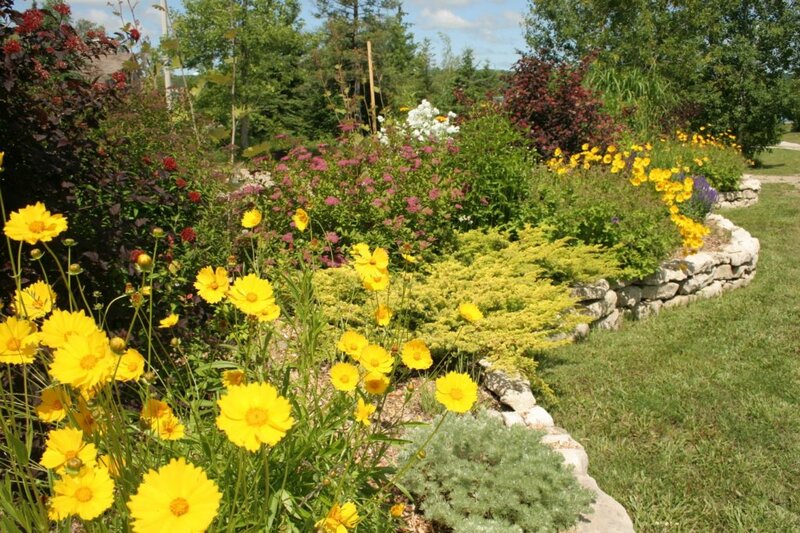 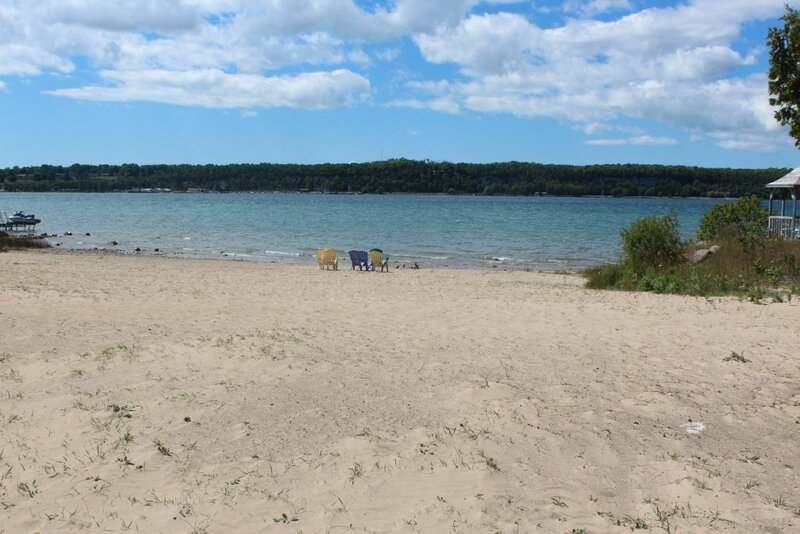 A gentle slope through gardens and greenery leads you to our 'golden' shoreline, where adults and children will enjoy the wonderful swimming in the crystal clear, pristine water of Colpoy's Bay, part of Georgian Bay. 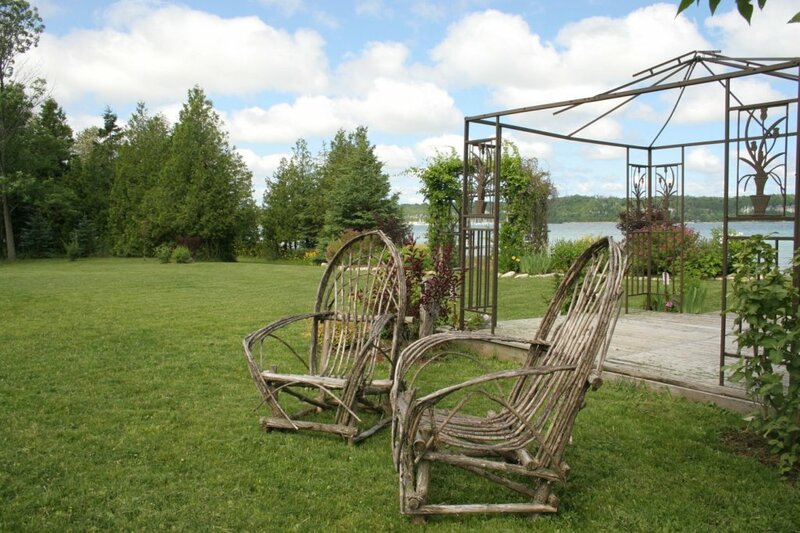 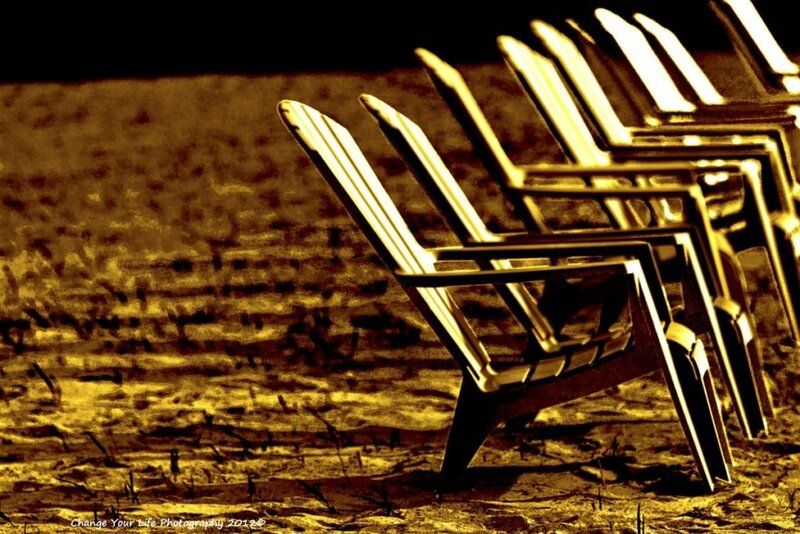 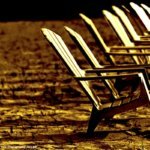 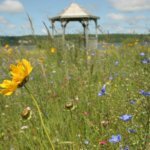 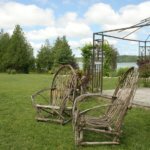 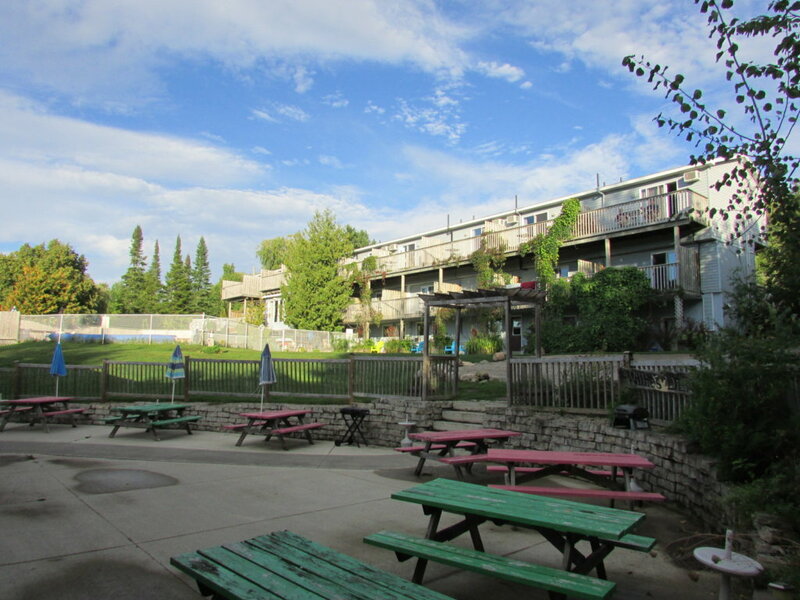 Benches, picnic tables and muskoka chairs are available throughout the property for everyone to use. 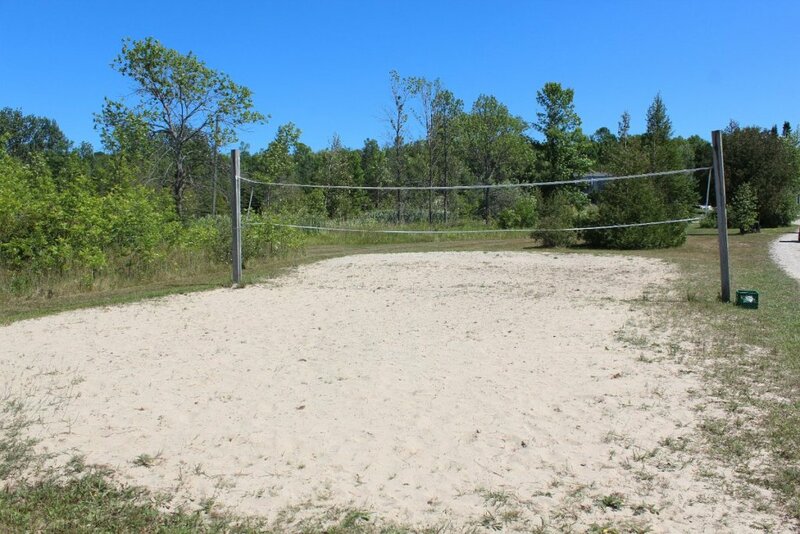 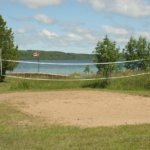 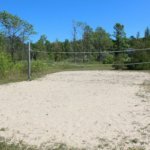 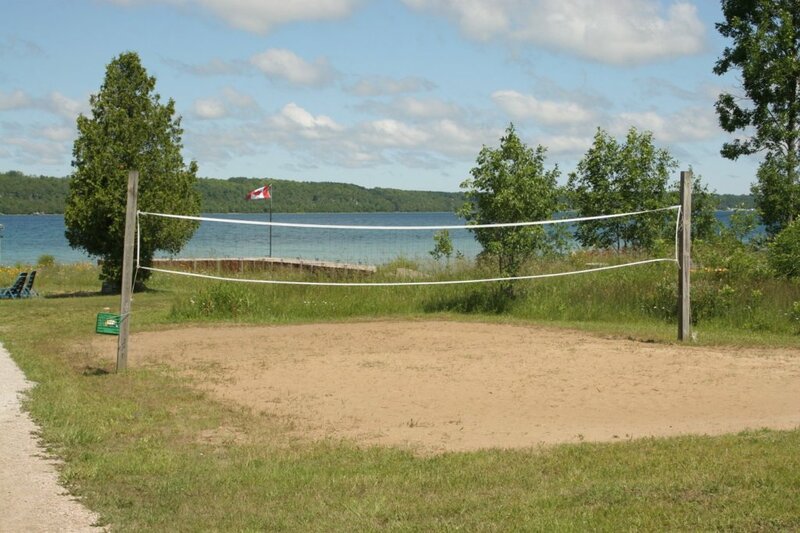 A beach volleyball/badminton court is also available for those who wish to play. 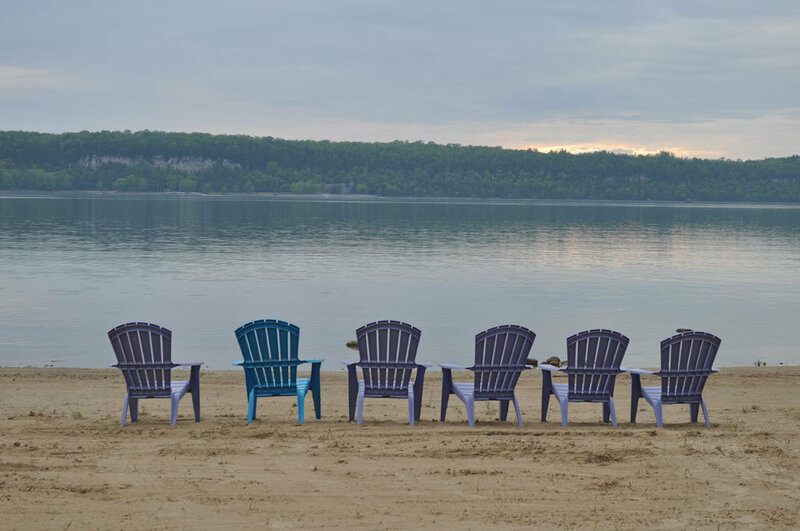 Relax at the beach and watch the sunset over the majestic limestone cliffs of Spirit Rock, part of the Niagara Escarpment. 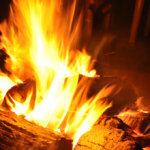 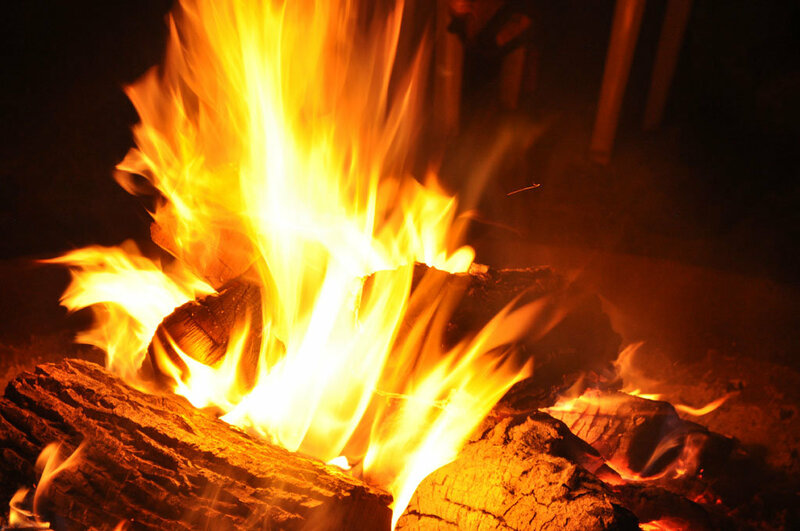 In the evenings, enjoy roasting marshmallows and watching the stars at a camp fire. 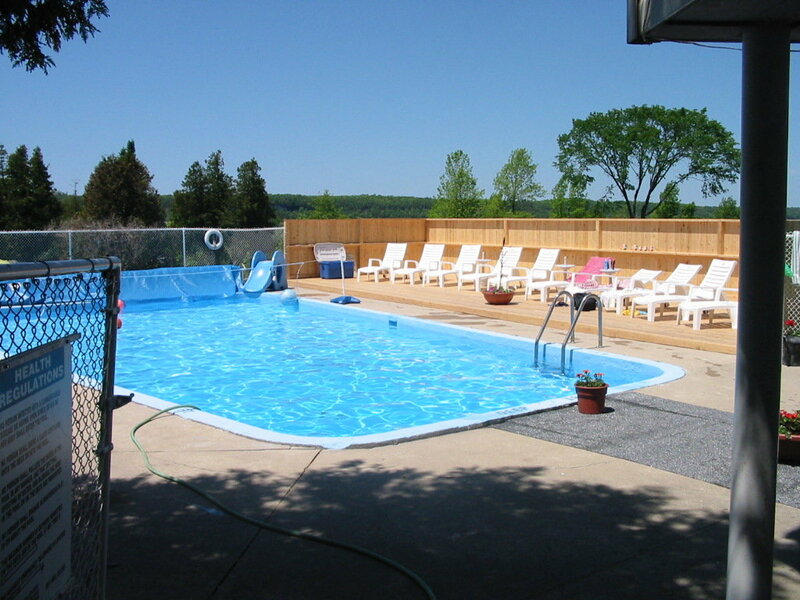 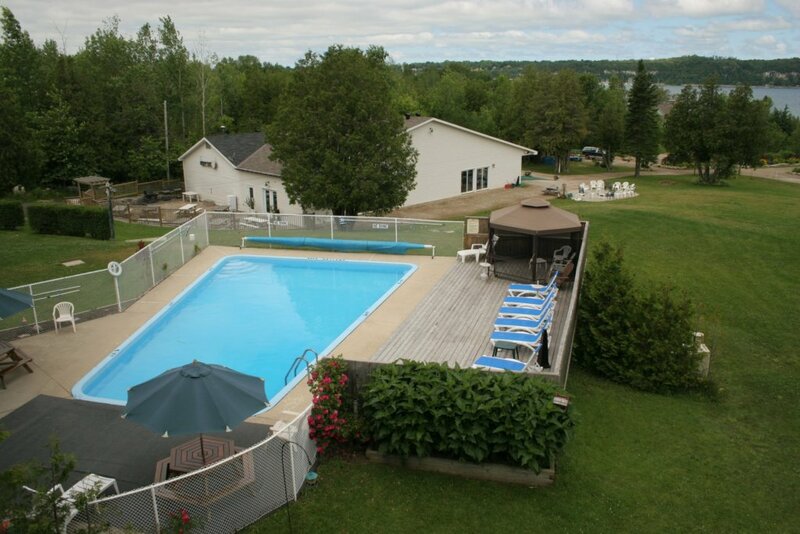 Our pool is very large and is for all levels and ability (3 feet in the shallow end & 9 ½ feet in the deep end). 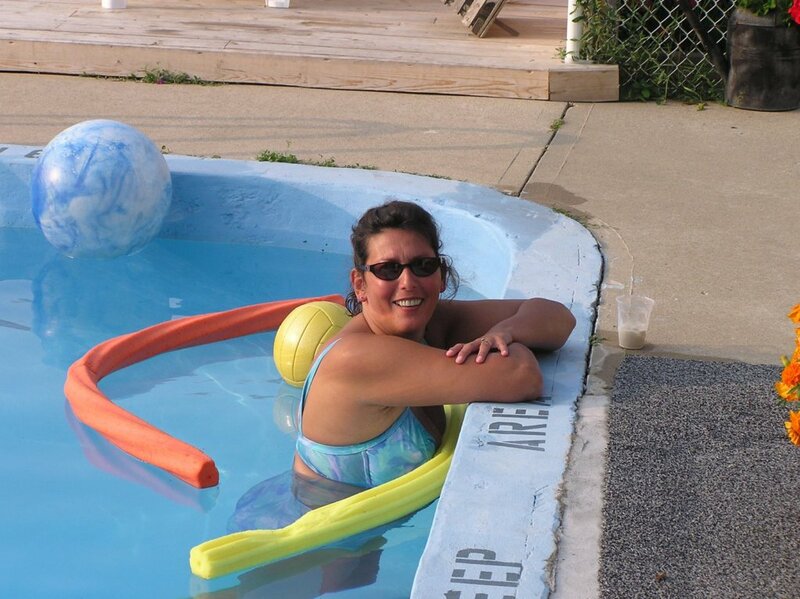 There are water noodles and toys for the kids to use or bring your own. 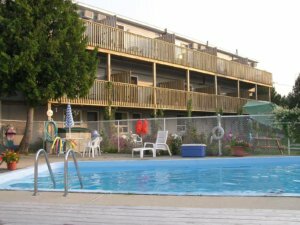 The pool area has a great sun deck to one side – a great place to spend an afternoon sun tanning or socializing. 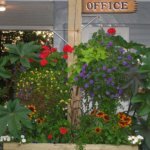 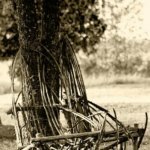 Check out our FAQ and Policies page or contact us! 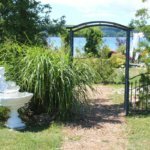 © 2017 Waterview On The Bay | Designed & Hosted by: Gem Webb Internet Marketing & Web Design Inc.